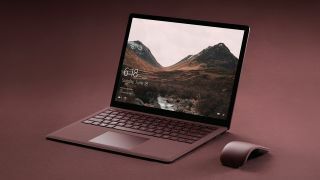 Those running Windows 10 Home will soon be able to pause updates for the operating system – for up to a week, anyway – or at least that’s the hope going by a recent change to the preview build of Microsoft’s OS. As you’re probably aware, this has been a much-requested feature, as previously the majority of folks who run the Home edition of Windows 10 have not been able to put a block on an update themselves (at least not without implementing some sort of clunky workaround). Although Windows 10 Pro users do get the ability to pause an update. However, it seems that the feature is in the pipeline for Windows 10 Home in the next big update to the operating system which is due to arrive in the first half of this year, as Thurrott.com recently spotted a new option in the latest preview version of Windows 10. This gives Home users the ability to pause an update for between one and seven days. Okay, so that’s not a massive amount of time, but it still gives you a bit of breathing space to block an update temporarily if you don’t fancy installing it right at the time of release. That might be because you’re the cautious sort, and you just want to wait for a little while to make sure there are no initial bugs present in the update(s) – which let’s face it, definitely can and does happen. And of course it means no more scenarios where your machine launches into processing an update when you’re in the middle of some kind of critical task. Yes, it seems that Microsoft is finally realizing that not only Pro users perform important work on their PCs, and the firm is listening to feedback from the many Home users who have been requesting this ability for a long while now. The pause option lives in Settings > Update & Security> Windows Update, so if you’re testing Windows 10 you can check it out. Bear in mind that this is just a concept Microsoft is playing around with implementing at the moment, so there is no guarantee it will make the cut for the release version of Windows 10 Home. Meanwhile, those with Windows 10 Home will have to use the old clunky workarounds if they want to defer an update (like setting your Wi-Fi network as a metered connection, in which case it won’t automatically download them).